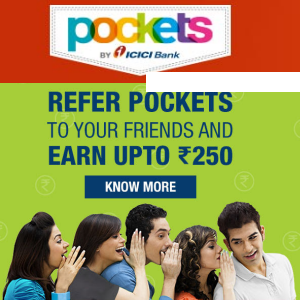 Today we are back with amazing offers from Pockets app by ICICI Bank. Today basically I will talk about its refer and earn promotional features as well as I will also talks about its unlimited referral tricks, OTP by pass tricks, scripts etc. Pockets app is used by millions of users and it really give a awesome experience of digital life. Pockets app follow slonkit methods of physical cards and now launches its own Physical card. You can use this physical card for shopping in malls, mart, for recharge, for paying bills, booking movie tickets a lots of things you can do with it. It's really helpful for you to manage your money. Generally it is looks like Debit and credit cards but here is a little bit of difference. You can't use this card for transaction via ATM. 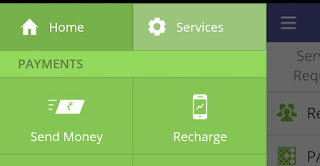 But you can use it for online shopping as well as offline shoppings on shops , recharging, bill payments etc. First of all I would like to inform all of you that this physical card is free of cost. Not a single rupee have to pay for it. Free delivery also provided. 2). Open the app and sign up with your mobile number. 3). Verify your OTP and wait for a while. 4). A pop up will come, where you can go for physical Card. 5). Click on that pop up and enter your name along with correct address. (Must give your correct Info). 6). Now follow the on screen instructions. 7). 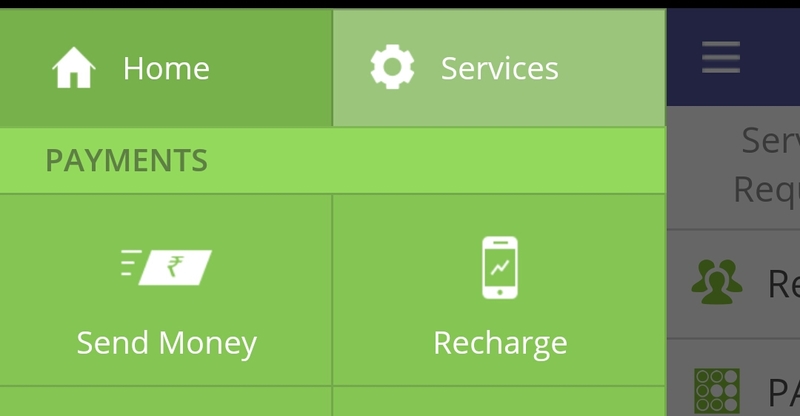 If you want to add money on your upcoming physical card then you can add as per your choice. It is not compulsory to add. 8). Done!. Now wait for at least 7 days. Let's talk about main points of this article. This part is love by most of our users. 1).First of all you need to open Pockets App. 2). Touch on the left navigation button. 4). Copy or share your referral links and code with your friends, blogs . 5). You will get Rs-50 for referring 3 friends and Cashback maximum cashback of Rs-250 when they created their wallet.